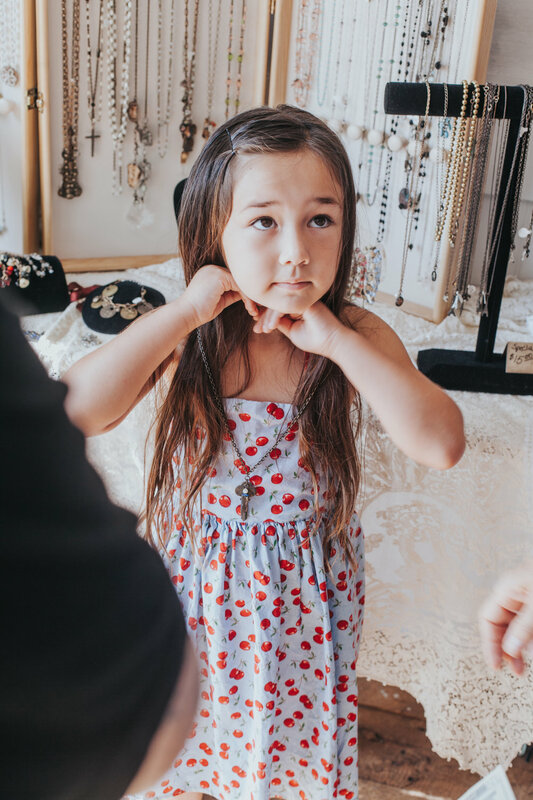 Recap of our September Pop Up Market! Can we keep continuing to say that it was our BEST Pop Up Yet? I hope so because each event just gets better. New makers experiencing our space first hand, more locals stopping by and joining in on the fun, and more connections made with big smiles on everyone's face. WE. LOVE. THESE DAYS! This September marked our 4 year Anniversary for SOURCED. Our space originally started as part retail, part office space with our shop in the front room (where our vendors set up for these Pop Ups now) and our creative office spaces in the back. A lot has changed since that first year of business. 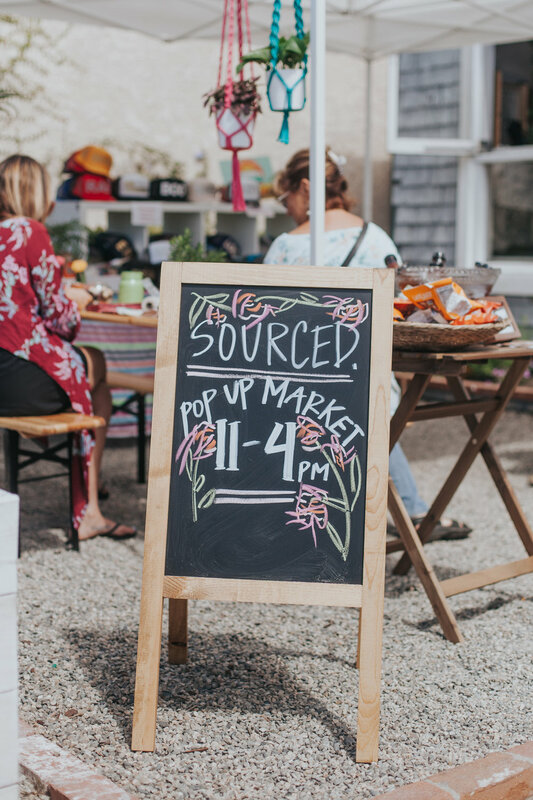 There has been a lot of growth and the hard decision to transition out of our traditional retail shop and commit solely to these monthly Pop Up Markets. Sometimes I wish I had made the leap earlier because everything seemed to click in after that but in refection having that store for the first two and a half years made us who we are today. Every other month we offer photography coverage at these events by our officemates Neighborhood Creative. We've found it to be one of the offerings that sets us a part. 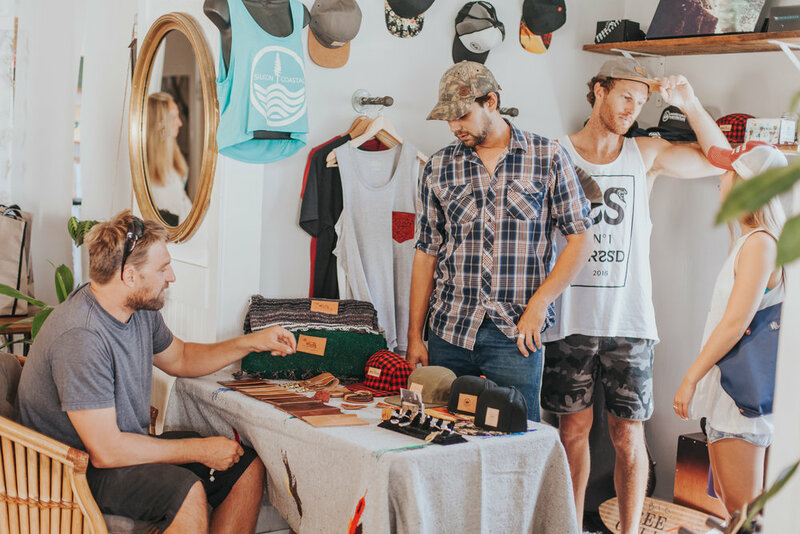 Eddie and Jordan spend time with each vendor capturing their set up, interacting with customers, shooting various lifestyle shots, and for some vendors, getting their first portrait of them as a business owner. These events for us as a space and collective are also an opportunity to engage with our neighbors and community. This year we asked resident artist Ali Rybczyk to design each months flyer and do some sort of live art or whatever new project she wanted to dream up. I feel like these Pop Ups have become a "Laguna thing" and at the same time, we're attracting new customers/friends at each month. It's kinda magic. 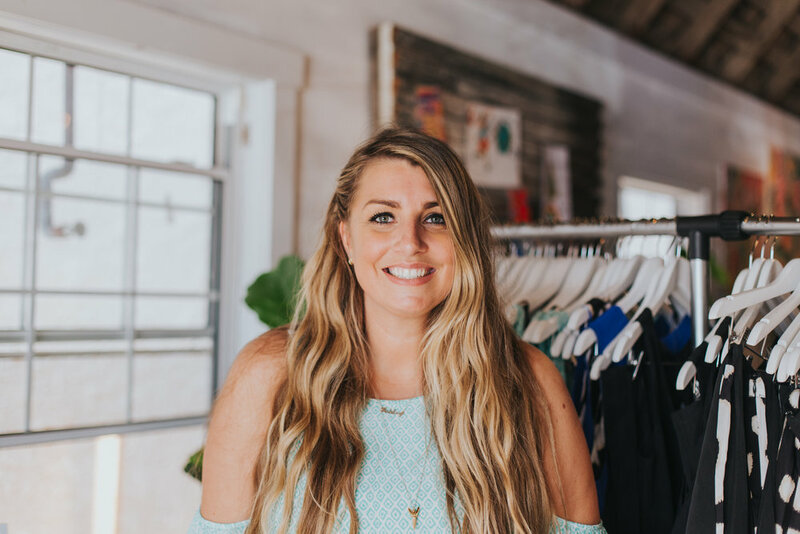 We also recently partnered up with Kristin Lewis of The Garage Collective who created the perfect lounge/showroom within our space. Her bohemian finds look like they've lived their entire happy life here. 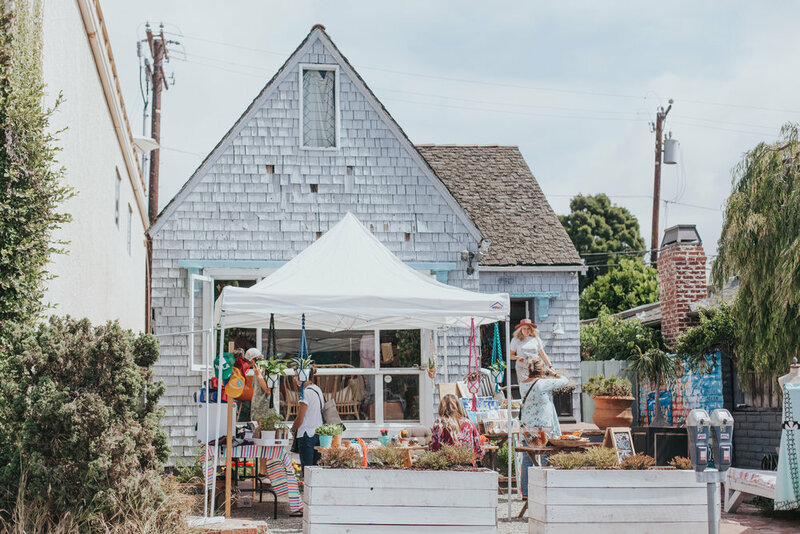 Although it’s in their name, some are still discovering that the GARAGE collective is a collective of makers and creators showcasing products right here in Laguna Beach. They have a smaller shop in town and this second home for them here at SOURCED. will become where they sell their larger interior pieces. This pop up, Kristin highlighted Carma, owner of Carma Collection with her handmade jewelry pieces. Officemates Freeman's Collective turned their office space into a store featuring Spencer Berkeley's leather goods and Mexican Opal rings. 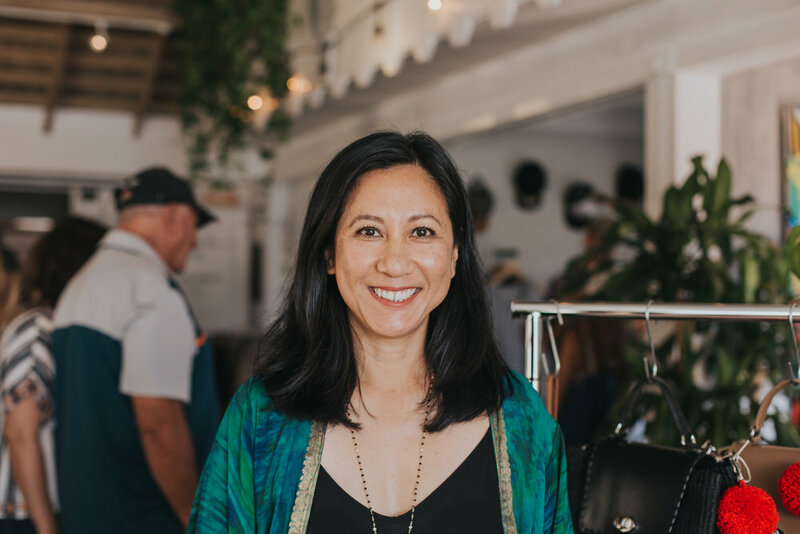 Lisa of Accoutrements LA set up with her newest pieces from the Philippines like multi layer necklaces meticulously crafted using coconut rings and the most awesome Yakan weave textile and Batik bomber style jackets. Local Nancy Deline Jewelry shared her new seaglass necklaces collected from the California coast beach wonderings. Founder/Designer Ashley of Rora Clothing came dressed in her newest design from her travel inspired clothing line. I fell in love with the inspiration for each collection by a new destination that Ashley experienced and translated into travel friendly frocks. A reversible dress? Sign us up! Lori of bsimple creations wowed customers with her totes made from washable paper (yep, paper. Washable paper!) and Raegan Knight's brilliant sterling silver and gold filled jewelry pieces were such a hit! I think everyone went home with a pair of earrings or new ring. Obsessed. Our pop up tent in the front yard was strung with macrame pieces from Mollie Brenner who also lead a free DIY macrame keychain station. Our neighbors, Nbrhd hats looked right at home with their local designs of Laguna Beach beloved street names trucker hats. Ali Rybczky also did a live mural on our front window painting the picture of what 4 years of big dreaming has looked like for SOURCED. with captions like, "a pair of wings blessed our space and together we fly", and "four years of straight magic moments, composed by the community we call you." Yes. we are one blessed group of big dreamers. We look forward to seeing you at our next Pop Up on Saturday, October 28th! Interested in showcasing with us? RAD! We'd love to have you! Check out our Artisan Pop Up page for more details!